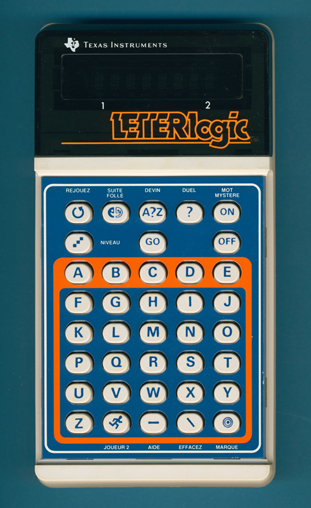 Size: 6.2" x 3.4" x 1.1"
This LETTERlogic sold in the France is almost identical with its German and British sibblings LETTERlogic and LETTERlogic but sports a different imprint on the keyplate. © Joerg Woerner, August 1, 2012. No reprints without written permission.